​ COLLEGE STATION - The Weitz Co. is well on its way to completing Park West, the largest U.S. student housing project to date developed through a public-private partnership. Weitz opened 40 units and 72 beds in late September, following 80 units and 144 beds in August, a total of six buildings for the Texas A&M University property. 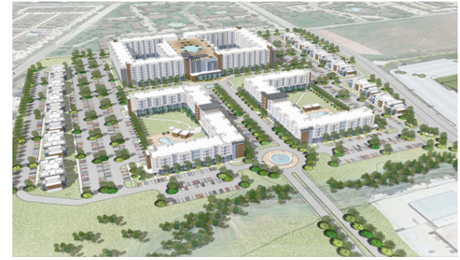 Project developer Servitas has entrusted Weitz to construct what will ultimately be more than 1,300 units and 3,400 beds in the 2.2 million-sf student housing community.